Biliary atresia in newborn infants is a congenital defect. The common bile duct—which carries bile from the liver to the small intestine—is blocked or absent. Jaundice is one of the symtpoms, and, if left untreated, the condition will lead to liver failure. 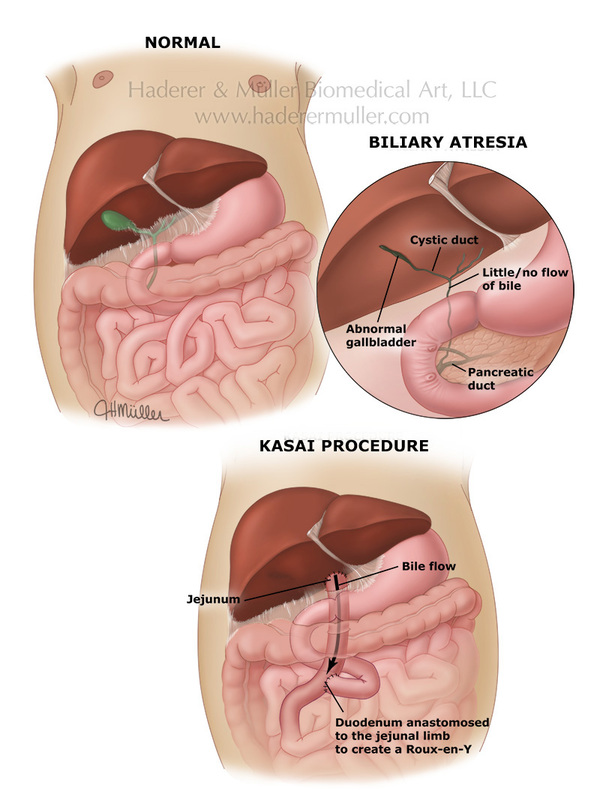 In partial blockage of the common bile duct, a Kasai hepatoportoenterostomy may provide additional time for the infant to grow before liver transplantation is performed.